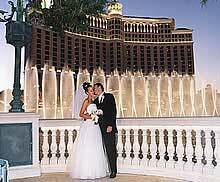 Having a Las Vegas Wedding? Looking to get married? Be it elegant or quirky, this list will help you find that perfect Las Vegas wedding package for that perfect Las Vegas Wedding. 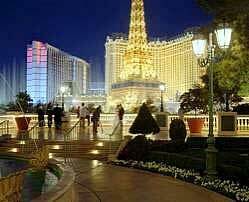 Here’s where you can find a perfect Las Vegas wedding package for your grand Las Vegas Hotel Wedding. Little White Wedding Chapel, 1301 Las Vegas Blvd, 702-382-5943, Drive-through and helicopter ceremonies available. Wee Kirk O’ the Heather Wedding Chapel, 231 Las Vegas Blvd, 702-382-9830, Oldest Las Vegas wedding chapel. Remember, be it elegant or quirky, this list will help you find that perfect Las Vegas wedding package for that perfect Las Vegas Wedding. Want to be part of the Las Vegas luxury real estate boom? Selling or buying a piece of Las Vegas Real Estate today? Call 702-505-6988 for more information and VIP representation by a Las Vegas Luxury Real Estate REALTOR for investment Las Vegas Real Estate, 1031 exchange, condos such as Trump, Turnberry, Allure, Panorama Tower, Turnberry, W Residences, commercial, residential and land.